I finally got around to using my Honeyville almond flour for the first time. 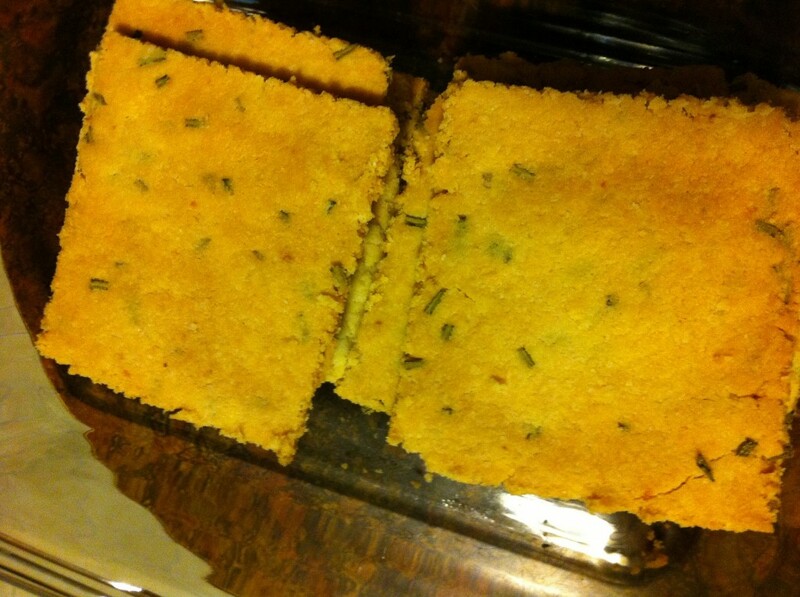 I tried Elana’s recipe for Rosemary Crackers. The dough was super easy to whip up and in no time I had gluten-free crackers that made me happy. The crackers aren’t crunchy like a wheat-filled cracker would be, but they are crisp and satisfying to eat. 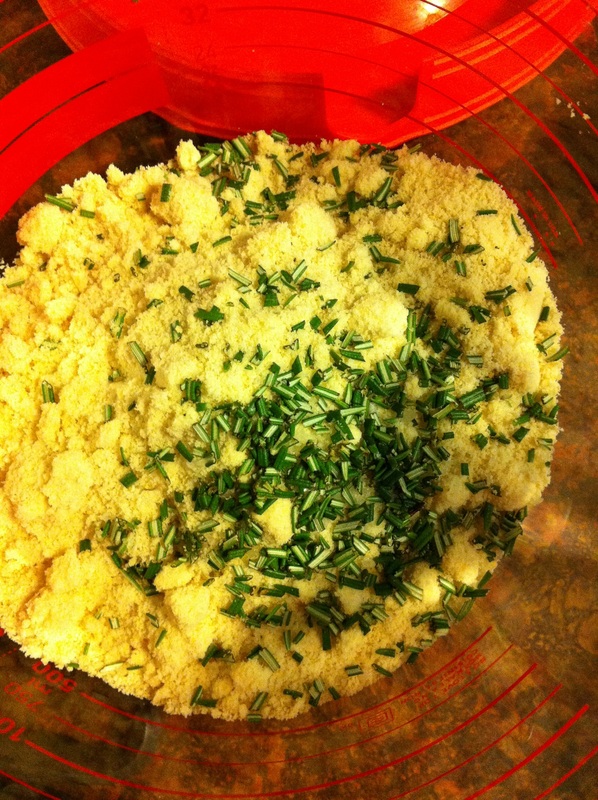 Blend the flour, sea salt and rosemary in a large bowl. 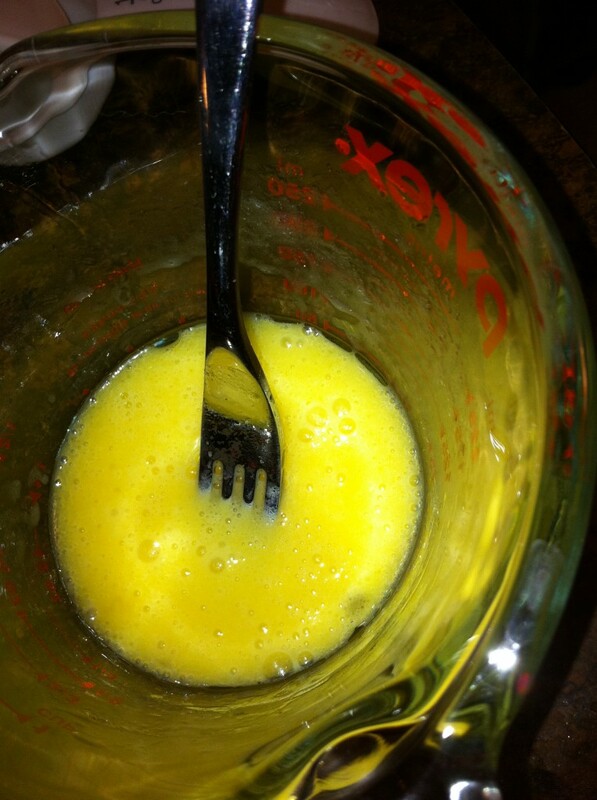 Beat the egg and oil together in a small bowl or cup. Add the egg mixture to the dry ingredients, stirring until completely combined. Turn out the crumbly dough onto a sheet of parchment paper and pat the dough together. Place a sheet of parchment paper over the dough. Roll out dough using a rolling pin to 1/8″ thick. I used planers (the grey band) on my rolling pin to make it easy to tell when my dough was rolled thin enough. 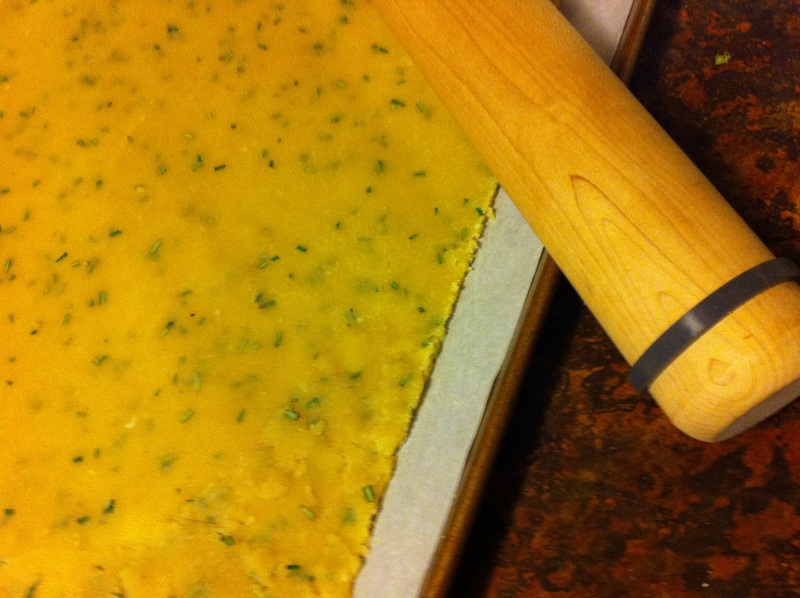 Keeping the rolled-out dough on the bottom parchment sheet, place the dough onto your baking pan. 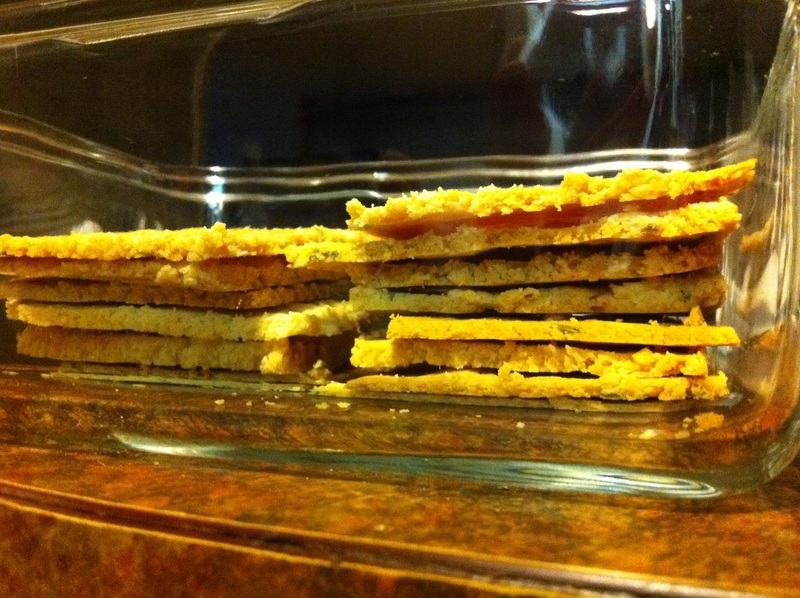 Using a knife or pizza wheel, cut the dough into preferred cracker size (I did ~3″x3″ crackers). Bake at 350°F for 12-15min. This entry was posted in sparkles, sustenance+sustainability and tagged dairy-free, gluten-free, snacks on 4 October 2011 by cheryl.